We were very excited to stay here. The main reason for not giving them 5 stars is the road noise. Could not sleep. We had high hopes of staying longer to be able to try out the restaurant as well as more amenities. Hwy 19 is worse than being by an airport. All night long. No rest. The owners are amazing and have a great gem of a resort with so much to offer. This was suppose to be a healing vacation and not getting sleep is not healing. The other downfall is you must have a vehicle to get around. Bike riding is lovely, but no form of shuttle or transportation. We called LYFT and they wanted $40. round trip to take us up to Green Valley and back. Next time (if there is one, Rent a car for the time we are there and ask to be placed away from the road noise. We really were excited about staying here. Their hard work shows and their customer service is awesome. 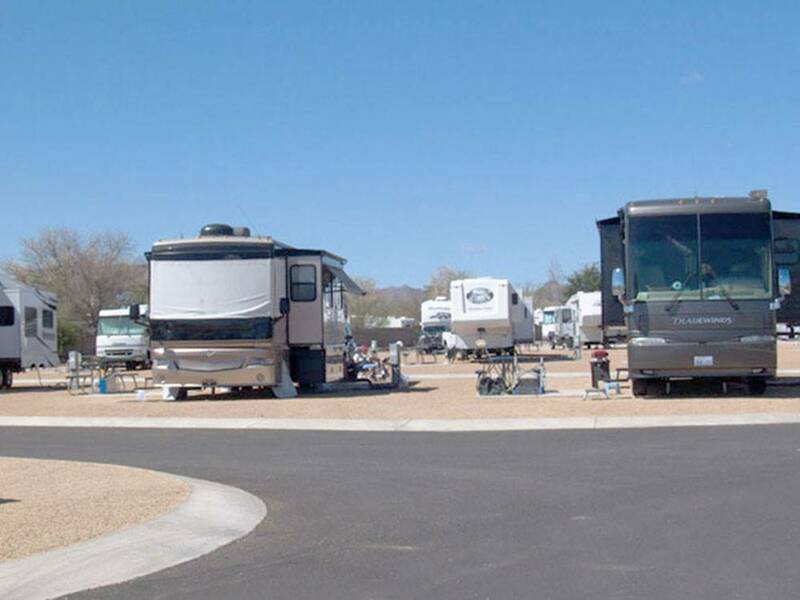 The BEST RV Resort I have ever stayed at!!! The owners who run the park were VERY outgoing. They made sure that we had everything that we needed. We had a back-in space for our 5th wheel. Another member with a motorhome backed into their spot from the other side of the spaces. We both had some branches from a tree that were rubbing our rigs so they were quick in getting them trimmed. Very clean park. This park is a hidden treasure in a desert oasis! 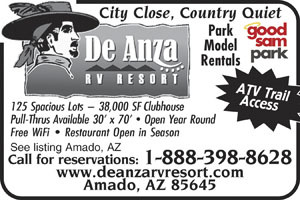 This park has everything that an RVer could want as far as conveniences. Many rooms for entertainment. Laundry room, Library, sitting room, swimming pool, hot tub, several areas for game rooms and outdoor games. We will definitely be back for visits in the future.